I’m 72 today. Around the time of my birthday last year, I was privileged to be working on a new film project from Hay House called My Greatest Teacher. The story is based on my experience at my father’s grave in Biloxi, Mississippi in 1974. It was a moment of forgiveness that turned my whole life around and changed everything—from my writing to my career to my relationships. I stopped drinking and doing so many things that were debilitating to my body. In that moment, I got rid of the anger and rage against my father that I had carried around inside of me since I was a child. If we must forgive, we must first have blamed. To forgive is to stop blaming and to accept with compassion that everyone is simply doing the best they can given the conditions of their life and what they have to work with at the time. 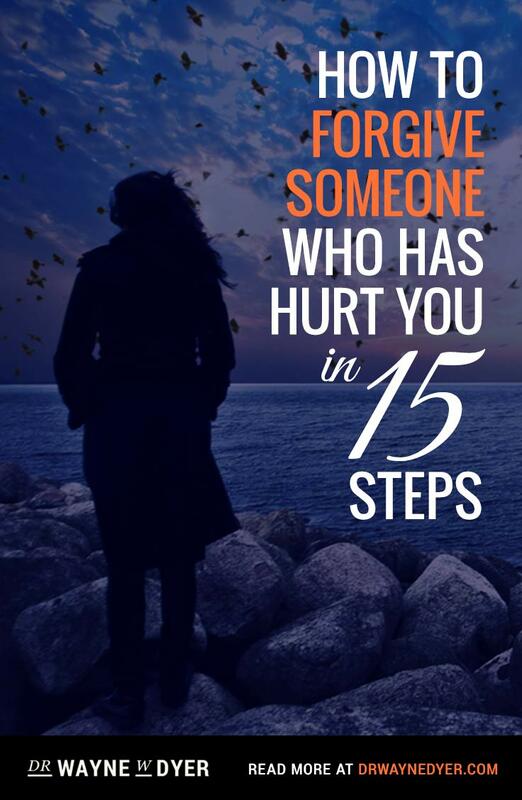 Forgiveness sets you free to move past the pain and on into a life of loving and serving. The satisfying and fulfilling life you know is there for you. My Greatest Teacher does a fine job of portraying the turnaround that comes when a man stops nursing his own wounds and looks around to see who else needs the gifts of love and healing he was born to give. It is the scars that leave me battling with my self and keep me from reaching higher energy levels in my spirituality. I sit and hope to someday be able to really feel total love towards everyone, so I can live on a higher energy level. Coming to terms with your Father was your turning point; I am in awe of such forgiveness and peace. Lets just say that it is a good thing for your current mind and memory to decompose when you begin your journey or it might get in the way of the next. It is kind of like formatting the c drive on your computer, without the bad feelings you feel, there is only positive left with a new beginning. I was always dwelling over the infinity after I depart on my journey until the day I opened up to the secret my life changed. I started dwelling on the infinity before my time and realized that it’s existence is just as important as the time after. Greetings to you Dr. Dyer. I’m curious to know if your current writings have to do with the “veil”. With the realm behind the veil that few have been…such as your guest Anita in your PBS prodcast. What comments do you have in using your list of 18 excuses (Excuses Begone) to help people who are undergoing career transition? Do you have any materials, resources (a workbook) to assist me in this process? Could you introduce me to someone has used Excuses Begone in a group setting – other than being a participant at one of your lectures? Once Again you’ve provided us with Godly Wisdom Inspired directly from the Angel Realm. Happy Belated Birthday Dr. Dyer! Just wanted to thank you so much for your inspriation on the radio and through your books. What a blessing to have found it all!!! My question is how can you forgive so many people that put such a darkness in your life that you cannot even face thinking about it let alone talk about it? Is there any ‘manual’ on the how to? It is not that easy if you are not a talker let alone someone who shares and who keep this wall around yourself for so so many years…. Mr. Dyer, you once quoted, when the student is ready, the teacher will appear, I am ready! Open the door, see whats inside, you may be or not, suprised at what you find. I’m excited with the new journey! No today I sit still and know, know that I,m at rest, this feels like a big step for me Thank you and happy belated Birthday Mr. Dyer, God Bless. The journey has brought me here, to learn, to share, to love, be loved. I lost my way in this life , but I’m in the belief I can find who I really am, stop blaming! Today im touched by the spirit I have been chasing, and still think I have to chase it. 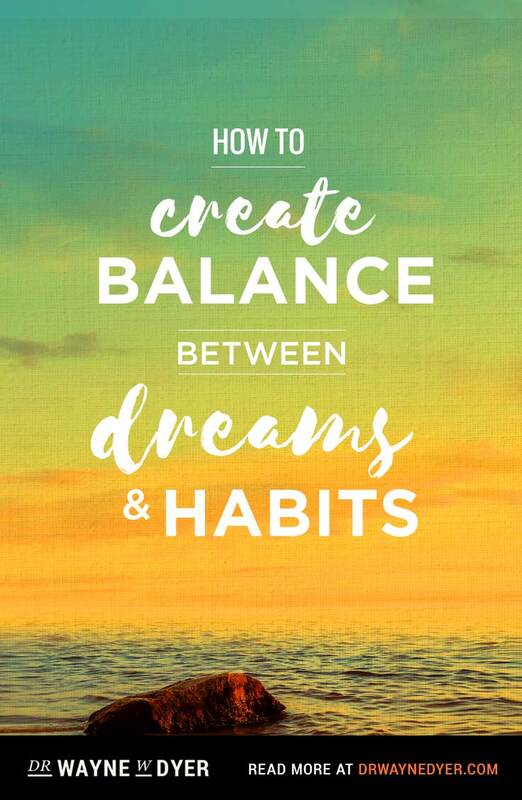 Dr Dyer, your words are so inspirational. I thank u. I have not been a very good person and am turning my life around. I pray that all those i have hurt can forgive me and allow me to serve them in light and love. Your words hit the spot – always. help! I won’t wish you a happy birthday, even tho’ I’m happy for youl. I need help. I’m lost. I am reading wishes fulfilled and want to believe it soooooooooooooo much but am still trapped in the idea that “god” is some mysterious diety that lives out there and makes no sense to me. I’m tired of not understanding. Please help me understand! Dear Dr. Dyer, it’s too late, but I’m a new membership & I like to say ” happy birthday ” & thank GOD for this day. you are a source of inspiration, energy & every good things. I appreciate for all that you & your group do.I’m sorry my English is weak & I can’t say what I want really to say. I am revisiting The Power of Intention which is bringing a more profound message and source of inspiration to me at this time. Thank you for your work and the clarity you impart. Happy birthday–may you have many more! Dr. Dyer, happy belated birthday. I listen to your CD The Power of Intention everytime I need a reminder of the power intention and the power of love and life force of intention. You continue to be a source of inspiration for me. You have a beautiful mind and soul. Thank you for all that you do! Happy birthday Wayne! Since I never had a “Dad” I always would close my eyes and listen to your voice pretending you were my dad. I know you have many children and you don’t need anymore 😉 but THANK YOU for being you! I cherish you and your kind spirit! Wishing you endless peaceful moments with our creator Dr. Dyer. Thank you for your gift of inspiration. Happy belated birthday and more blessings to you Dr. Dyer. Thank you for KQED-San Francisco program where I bought your wonderful books on my birthday (best birthday gift ever). Thank you for a life changing journey. You are definitely God sent. Happy belated birthday Dr. Dyer. Thank you so much for all your wonderful books. I just read Inspiration again and am listening to The Power of Itention on the car radio now. I have decided to live an inspired and source/God filled life! Thank you, thank you, thank you! Happy Belated Birthday!! You have been a great inspiration for me and I have valued your television specials and many books you have written, thank you again for amking a difference in my life and for sharing such great things with people all over the world. 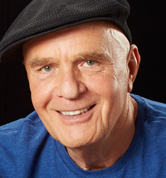 Happy Birthday Dr. Wayne Dyer. May the good God bless you. What happens when you forgive but the other person hasn’t forgiven you?I used my spiritual awareness to put this concept into practice recently but felt a bit empty when the other peron didn’t accept my apology.I’m trying for my ego not to get upset as it was not initiated from there but my heart is hurt.Where do i go from here? Have I done enough? From one former Michigander to another, Happy Highest Energy Day to you! My two greatest teachers-you and Jack Boland. We are blessed by your teachings. Thank you for bringing Light to the dark places on my journey-for piercing the fog of uncertainty with wisdom and clarity. Happy Birthday, my guide, my friend. Thank You Wayne. Your the greatest teacher of my life. May Gob Bless you. Happy Birthday Dr. Wayne. God bless you always !! It s not late to wish you Happy Birthday Dr. Wayne. Today , I don’t know the reason, I watched your movie The Shift. Its excellent!!. Thanks for your teachings ,I hope they will help me dealing with all the changes are come soon to my work and family life. My love and wishes God bless you always !! I just wrote in your facebook page my experience with being cure by John of God also and when i saw that you were born same day as my mother I had to wish you Happy Birthday as well. Is a little late but from my hart. ; this day is very important TO ME. Happy Birthday! May all the good spiritual continuing using you to bring happiness. Wayne, thanks for all the hard work of writing books and public televisions shows. I read your book, “Your Erroneous Zones” back in the early 90’s, used to listen to your books on tape, and now can write to you in a blog. Technology is amazing! Happy birthday, keep up the good work and looking forward to your next project. 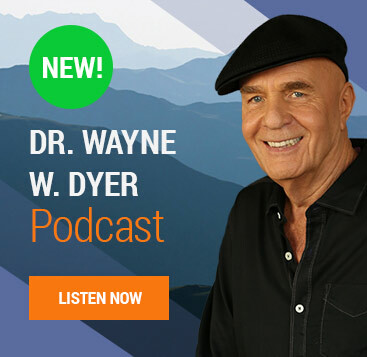 Dr Dyer, You have help so many of us look beyond our worries and frustrations and connect with our Spirit! Thank you! Happy Birthday! You have helped me with forgiveness the most. Wishes Fulfilled resonated . I came to recognize, in every case, everyone is/are doing the best they can with the kowledge, tools, and circumstances they are dealing with. It isn’t about me…it is about their journey. How freeing is that?! Thank you so much for YOUR teachings! Yours is a birthday for me to celebrate. I do so with gratitude, respect and love. Over the past few years, you have given me, through your words, all I need to live a wonderful life above and beyond what I ever could have imagined. Happy Birthday Dr. Dyer. Peace and love be with you always. To forgive means to forget anything that isn’t. It means to love anyway. It means to empower possibility in delight. Happy Belated Birthday Dr. Dyer. Thanks so much for all you have given me and everyone else whom you have touched in such a profound way. You have affected my destiny to its true intention and although I see hard work ahead I am determined to persist, meditate, practice and ultimately to be pure love. You have been the catalyst for changing the way I look at things. My song has become clearer & is greater than before. With focus & those dormant forces, I will be able to do this. We have spent many hours togetheron my IPod, I love you & thank you & wish you the happiest birthday yet with more to come. Happy Birthday Dr. Dyer. I hope God keeps you teaching us for many more years (is 100 ok for you). What you mentioned about forgiveness is the basis for one of the chapters of my book Never Mad Again I sent you with Tracy in Atlanta. therefore I couldn’t agree more. In the Power of intention you said do not hold onto intentions like a pit bull with a rubber tire, now you say thats just what we should do? Which is it? And is AHHH still the sound of GOD. I’m so confused. LOL Happy Birthday. Happy Birthday!! I wish for you many joys. It has been a privilege to follow your teachings for many years now and continue to be an instrument of peace. You always seem to write exactly what it is that I need at the time. Your latest is a “My Greatest Teacher” came to me when I needed it the most. Thank You!!! 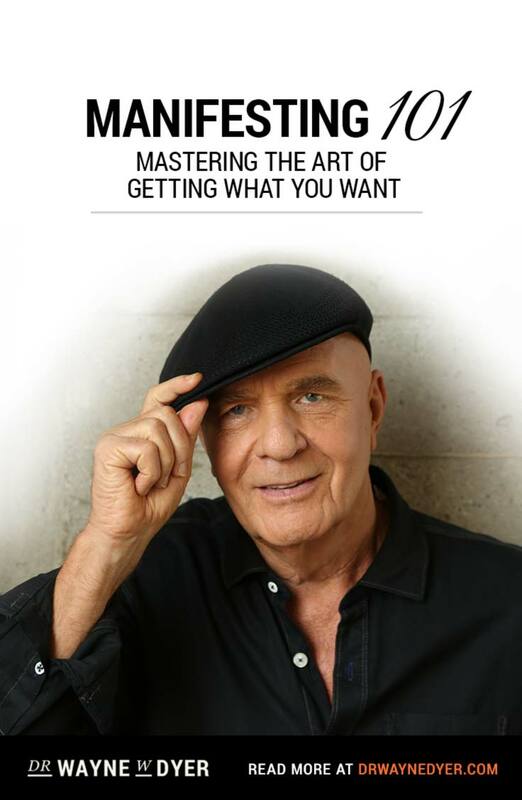 Happy Birthday Dr. Wayne Dyer. As you have shared your life with us for all these years, I wish for many more years of your inspired guidance to come through. Love you. Happy birthday Dr Dyer! Thank you for being you, you are amazing! You are so greatly appreciated, Wayne; I’m sure I’m speaking for at least a million others who just have not stated yet what they’ve often felt. Came across a lovely 5 min Youtube: Ten Signs of A Spiritual Awakening; I think you will enjoy it, espec. # 9; reminds me of your butterfly story. Music is lovely, too. Happy Birthday Dr. Dyer! Thank you so much for the insights, it helps a lot. Thank you for being The Greatest Teacher! Happy Birthday Wayne!! I am enjoying the Wishes Fulfilled CD’s, DVD, and Meditation. We share a diagnosis, so it is special to me to hear your words of inspiration and wisdom. Happy Birthday Dr.Dyer! Your books are such an amaizing gift to me and lots of other people. Inspired by YOU I change my life and I feel You as my teacher. Thank you and may all your dreams come true! Lots of love from Russia. Life is our greatest teacher. Thank you for sharing your life and teachings with us. It was good to see you in Atlanta last month. I love you. Happy BIRTHDAY! Namaste. Happy Birthday Dr. Dyer. I SO enjoyed your talk on Saturday in Vancouver. There was magic in the room… especially during a tense moment. Thank you from the bottom of my heart. 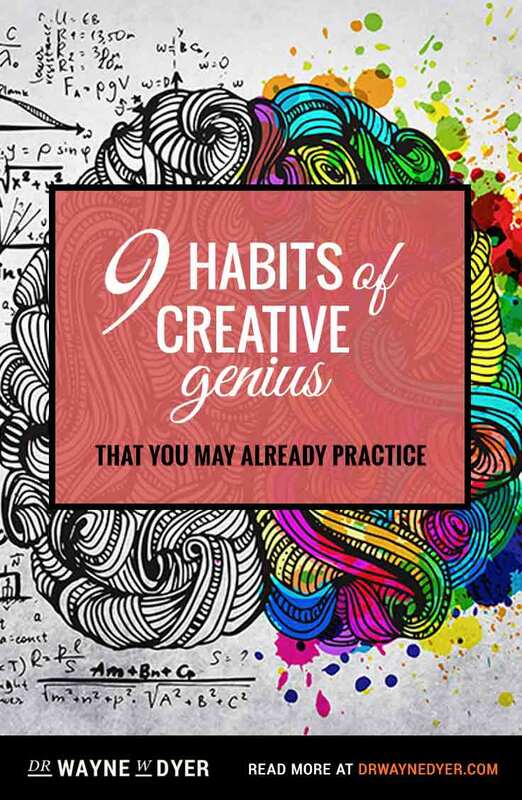 I have read most of your books, and listened to your tapes many times… and each time I do, I find another aha moment…. Be well, my friend. Happy Birthday Dr. Dyer. I am a long time admirer and I am honored to share your birthday. Because of my heart being touched by your words, I am once again writing… this time, I am not going to allow “my” music to die with me. I can honestly say that you are one of my “greatest teachers”. May all of YOUR wishes be fulfilled!!! Happy Birthday! I have been following your teaching’s for many years now and every day I am closer to realizing my Truth! After all this time I did not know until today that we shared the same Birthday! Thank you for the gifts of your life lessons. A very Happy Birthday to you, Wayne! I was privileged to see you and Skye in Vancouver last weekend… I hope your day and all the days to come are filled with joy, happiness and the peace of God… I love you! My greatest teachers as well, thank you! Happy Birthday Dr. Dyer, hope this will be your best year EVER. You are one of my greatest teachers, I’m always grateful that you were born. Keep Rocking. Happy Birthday. I guess you are paying it forward because you are my greatest teacher. I love you. Thank you.